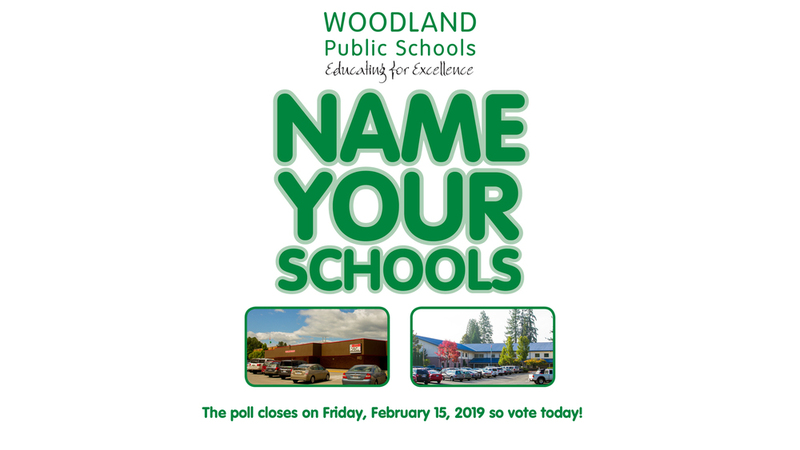 Woodland Public Schools invites the community to Name Your Schools! Voting will close on Friday, February 15 and the final names for the district's elementary schools will be announced soon afterward. Thank you for your participation and your support!